We have just posted out the last remaining print copies of BFS Horizons #2 to our newest members, so it is now out of stock. But if you were about to join the society, don’t be put off: new members will be able to download the ebook and pdf versions via the Back Issues section of our monthly members-only bulletin. If you are a BFS member and you would be interested in becoming the new editor of BFS Horizons, have a look at the job description and then contact our chair to indicate your interest. 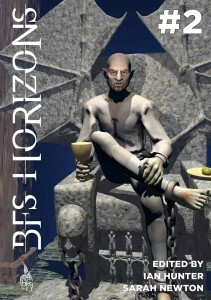 The next BFS publication is likely to be BFS Journal #15, currently being worked on by new editor Allen Stroud. We don’t generally print very many more copies than we need for our current membership, so if you aren’t a member, or your membership is on the point of expiring, join or renew now to be sure of getting your copy.